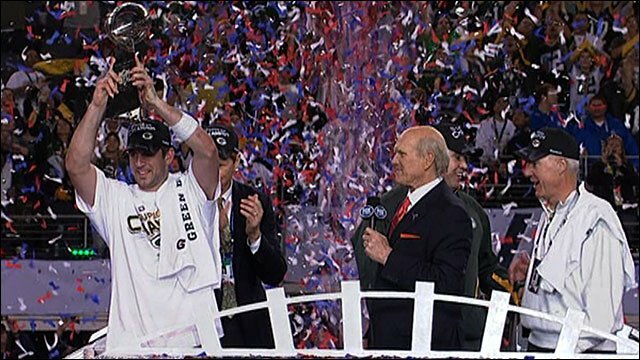 Green Bay went on to win their fourth Super Bowl XLV with a 31-25 win over Pittsburgh in Texas. Green Bay have not played in the Super Bowl since losing to the Denver Broncos in 1997. 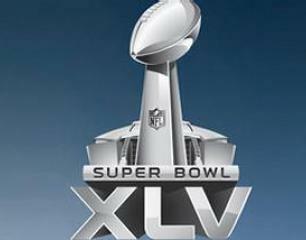 For the second year in a row, the Super Bowl has set a record for American television viewing. The Nielsen Co. said Monday that an estimated 111 million people watched the Green Bay Packers outlast the Pittsburgh Steelers in professional football's ultimate game. 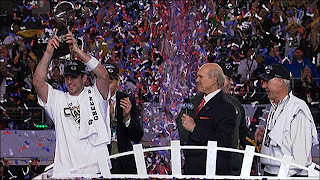 That tops the 106.5 million who watched the 2010 game between New Orleans and Indianapolis. Aaron Rodgers was the eye catcher of the day , who went on to achieve two touchdowns and Collins was able to return an interception providing their team a 18 point lead before the half time.Pittsburgh went on to get two touchdowns hence reducing the deficit to four but Green Bay pulled back as Jennings was able score his second. 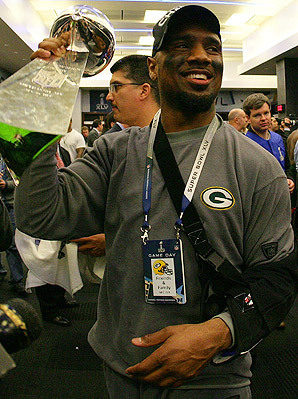 Pittsburgh, former six time Super Bowl champions had to be in a miserable condition , as three turnovers costed them 21 precious points.With this prestigious NFL title in their kitty for the Green bay , they also become the only side along Pittsburgh to have won after entering the play-offs with the lowest seed in their conference. The overall atmosphere at the Cowboys Stadium was totally ecstatic with a jam packed attendance, however the Stadium was left by the attendance of 766 to make a record attendance since the temporary stands were not available. "Seats were not completely installed in six sections, affecting about 1,250 fans. Roughly 850 of those people were relocated to "similar or better seats," but 400 were left out, the NFL said. In the first quarter 27-year-old Rodgers' perfect 29-yard pass to receiver Jordy Nelson gave his side a 7-0 lead. Pittsburgh ace quarterback Ben Roethlisberger was having a bad time, since struggling with a knee injury was intercepted two times during the game. Mike Tomlin was not at all having the best of the days, as his ace quarter back was not in his best form. 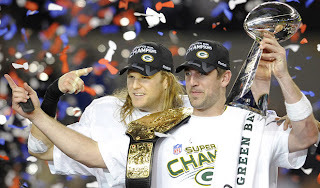 And finally in the fourth quarter when Roethlisberger aka Big Ben was not able to complete his pass , made some defining moments for Green Bay as they went on to lift the most prestigious title after almost 14 years. Aaron Rodgers was named the Most Valuable Player (MVP) of the game with 24 of 39 pass attempts for 304 yards and three touchdowns.